Tori and Keira in the final 音乐会. I got those pics from 潮流粉丝俱乐部 and barbie.com. 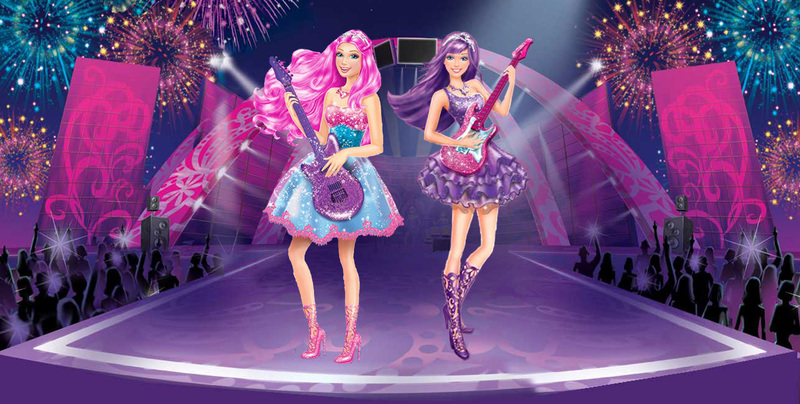 I crop Tori and Keira and put them on the stage to make them perform in the final concert. I know it's not good, but I hope 你 like it. HD Wallpaper and background images in the 芭比 电影 club tagged: barbie princess popstar keira tori final otniel the and concert. Good job! It is really good. Awesome! But I wish you didn't remove Tori's crown though. Are you kidding? It's awesome just the way it is! Well done! It's awesome, It's real as if Mattel made that but you made and it's done very well!